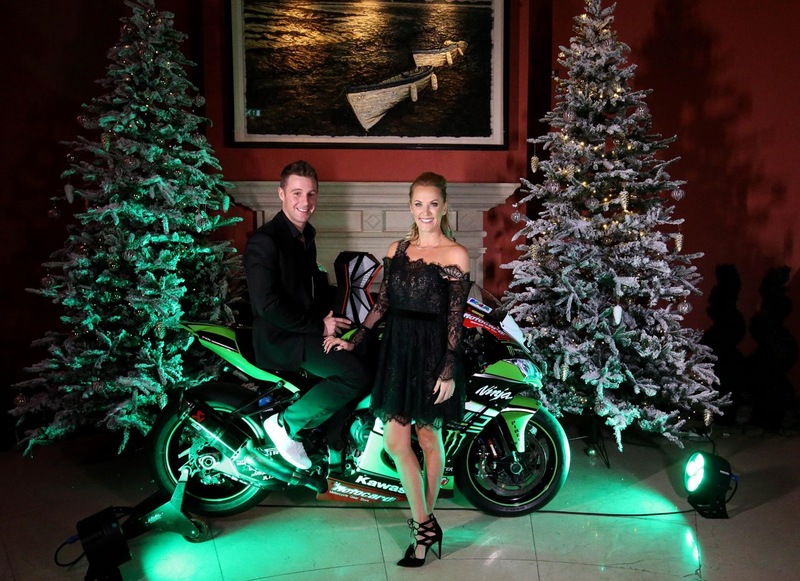 Jonathan Rea headed home to Northern Ireland last weekend where he and his wife Tarsh hosted an evening of celebrations in the Culloden Hotel, Belfast to celebrate winning the 2016 FIM Superbike World Championship. Over 160 guests, made up of close friends and family, joined in the celebrations with live music and entertainment till late in the night. A champagne reception welcomed guests on the red carpet at the venue, where Jonathan’s championship winning Kawasaki Ninja ZX-10R sat alongside the official WorldSBK trophy and special championship edition Arai helmet. The Culloden Hotel staff served bespoke canapés while everyone enjoyed the evening’s entertainment, headlined by X Factor UK 2015 finalist, Simon Lynch, who took a break from Les Miserables in London’s West End to attend. Guests were then entertained by breakdance group, Ajendance, before Cool FM’s DJ, Pete Snodden played his set into the small hours! Jonathan commented “It’s been an incredible night with so many friends and I want to thank everyone who made the huge effort to travel to Belfast to celebrate together with us. My wife Tarsh threw an amazing party and we want to thank both Stephen Watson, Gary McCutcheon and all the staff at The Culloden Hotel and Spa for turning our vision into reality. It was important for me to enjoy this moment with everyone who attended and draw a line under 2016 before starting to focus on what is going to be a fresh challenge in the new year. I’m getting excited already!"